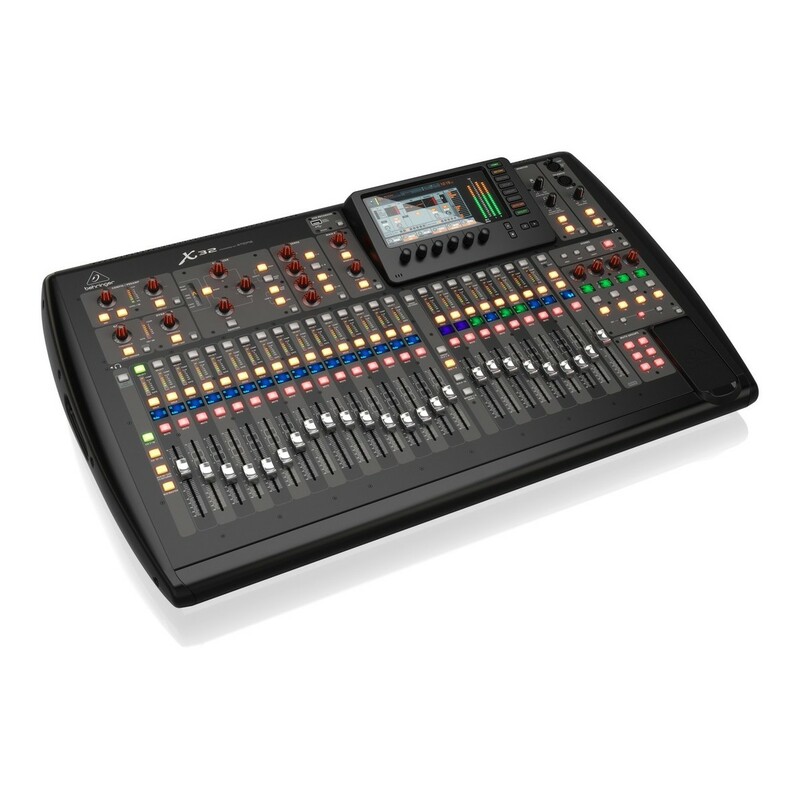 The Behringer X32 32 Channel Digital Mixer is a professional digital mixing console designed for audio professionals and sound engineers. 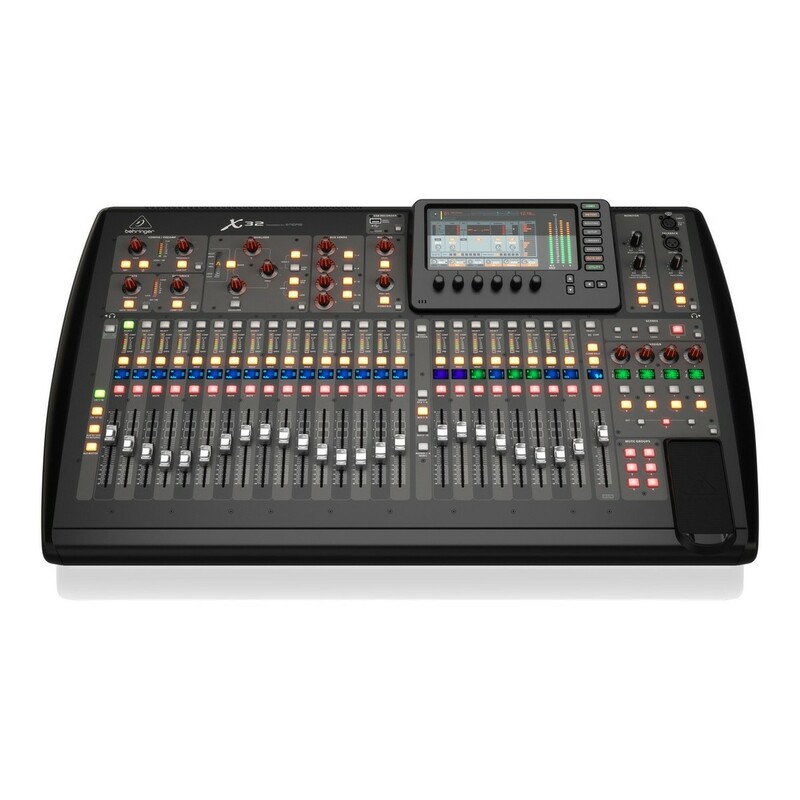 The X32 features 40 processing channels and 25 mix buses, designed to deliver an expansive signal processing solution which can be seamlessly integrated into any FOH setup. 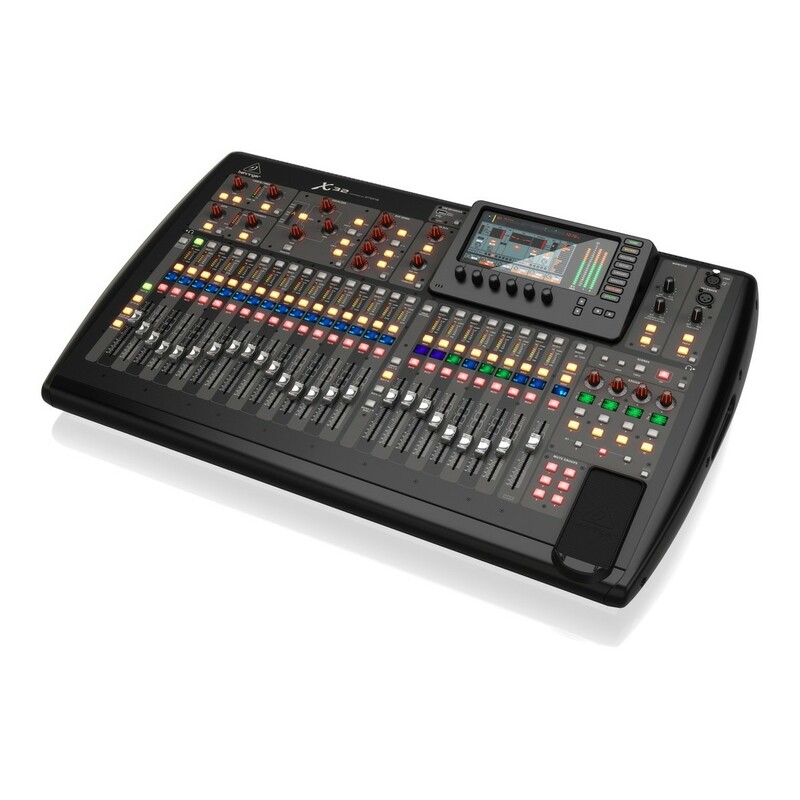 The mixer also features 32 fully programmable MIDAS-designed mic preamps, providing exceptional audio quality and reproduction when recording. 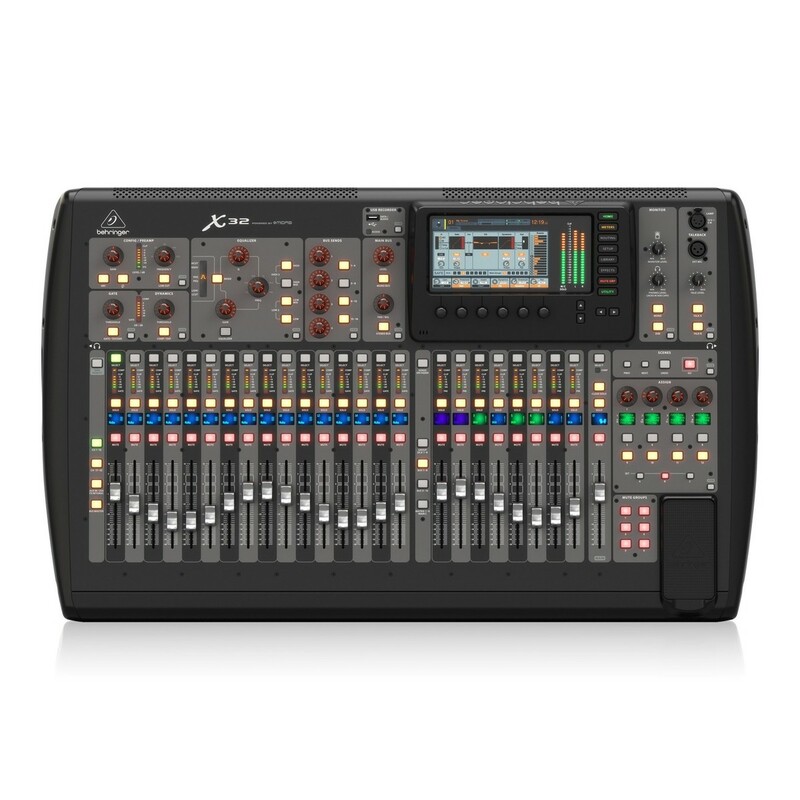 With 16 analog XLR outputs and two 1/4'' headphone jacks as well as 6 balanced line-level 1/4'' Aux inputs and outputs, the X32 covers all the connections needed for live performances. 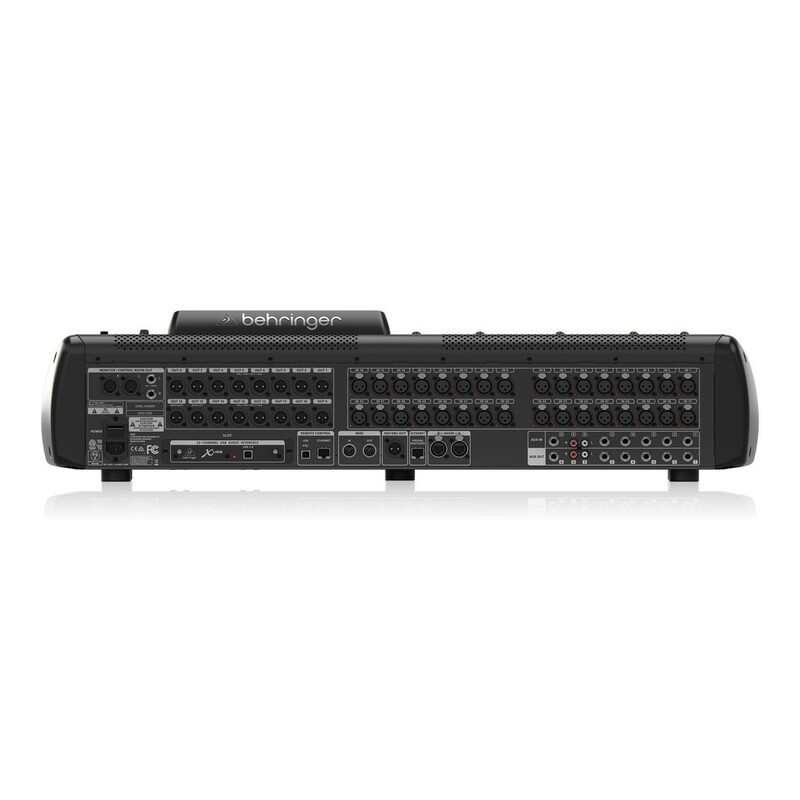 The Main LCR channels, 16 mix buses and 6 independent mix buses all feature 6-band parametric EQs and integrated dynamics processing. The X32 is ideal for live environment and studio use alike, delivering a powerful and intuitive mixing solution.